This week is going to be FUN!!!!! 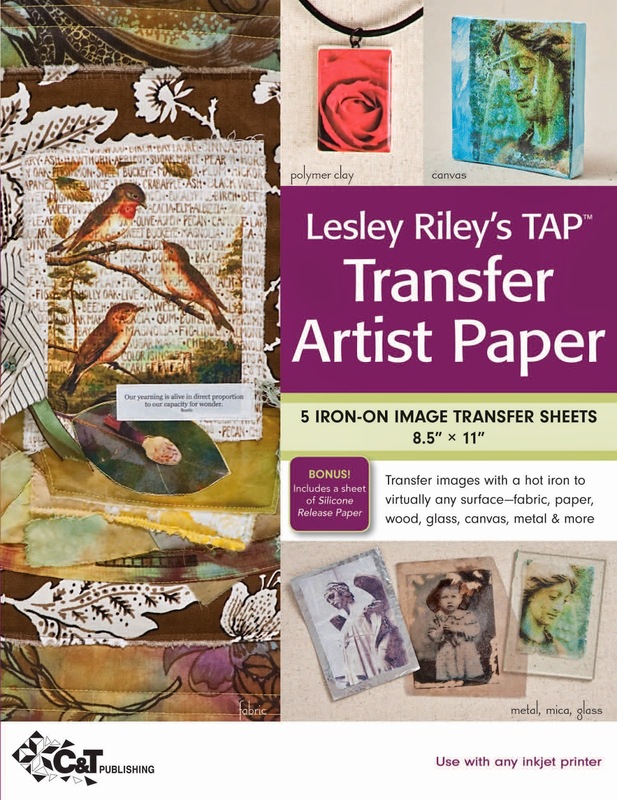 The StencilGirl Team gets to play with TAP Transfer Artist Paper designed by Lesley Riley!!! Not only that, but Lesley is hopping with us today! 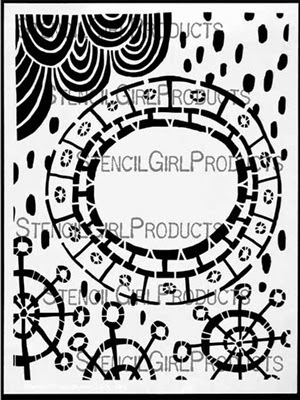 Join us EVERY day this week for new projects and inspiration using StencilGirl stencils and TAP! Lesley has a class HERE and some free videos HERE. Find out about ALL Lesley's books HERE. Go HERE to see Lesley's post. Click HERE to see Mary Beth's post. 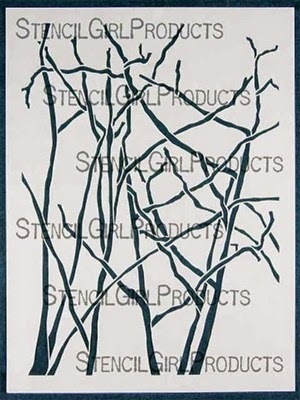 Do you want to try TAP Transfer Artist Paper and StencilGirl stencils??? We have you covered! Just leave a comment and enter to win this FABULOUS pack that will get you started! ALL comments left on all posts are eligible to WIN! Giveaway closes on Sunday, November 16th @ 11:59PM Central Time. Bloglovin and YouTube, Twitter and Instagram. I agree -- TAP and stencils used in combination are a great idea! 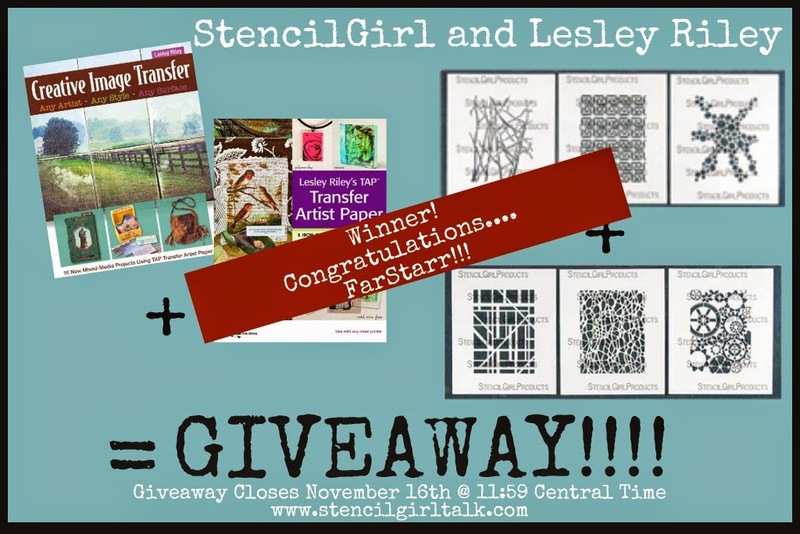 oooooh ahhh what a GREAT giveaway - featuring some of my favorite artists! What a great collaboration project- looking forward to the inspiration! Looking forward to a week of inspiring art! I love the versatility of TAP and combining it with Stencils was brilliant. I am inspired. This will be a fun few days, getting inspired. amartin@gofast.am I guess I dd not read the directions! I have spent some time this morning checking out all your stencils....WOW...I am impressed with the amount and inspired by them. Picking favorites would be very hard! So many projects... So.ittle time! I was saying that your stencils are so inspiring! They should combine well with TAP! 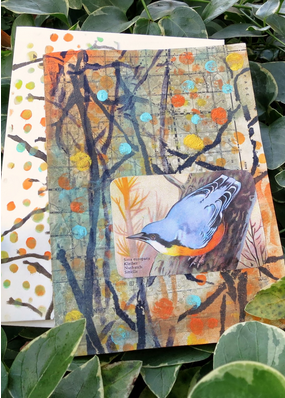 I use them in backgrounds with Gelli printing on my acrylic canvases. 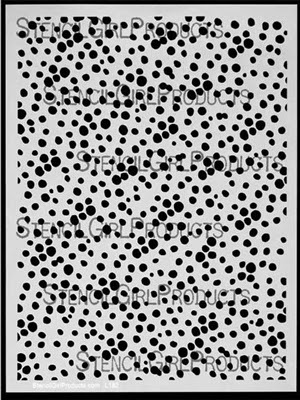 I love stencils and TAP! Will try to visit all the blogs this week. 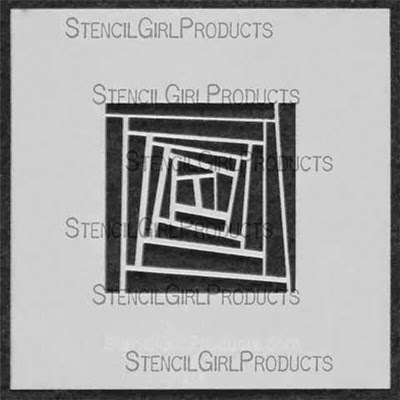 TAP and Stencil Girl stencils together open the door to endless possibilities! What a fun combo using stencils with TAP! Looking forward to all the fun stuff this week!!!! 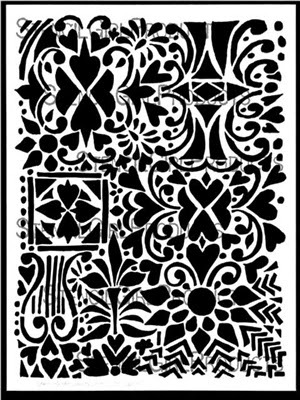 I love these stencils and would love playing with them and Tap together. Love the stencils and would love to have them. Mary Beth's card was beautiful. Maria is a lucky person. the hop was great. Thanks for having it. forgot to leave my e-mail. I love your stencils and would love to have more! TAP would be a plus! Stencil Girl's blog hops are just the best. TAP has been on my wish list for ages. I'm loving the info given so far and looking forward to the rest of the week. Great inspiration AND a giveaway. Ohhh - I've wanted to try TAP for ever so long - and combining it with stencils - brilliant! I am so far behind on new products. I haven't even gotten TAP yet. I do have some of your stencils and love them. Looking forward to learning lots this week. So much fun - stencils and TAP!!! What a great hop. Love the ideas from Lesley and Mary Beth. Looking forward to more. Would love to win - thanks for all your inspiration! Stencils and TAP...interesting combo! 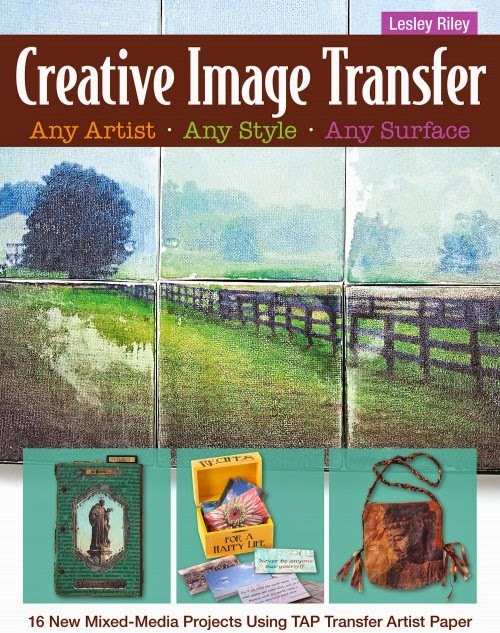 I hope you hoppers sign up for the inkjet transfer newsgroup--Lesley should have the info on her site! So much fun to come this week. Love! What a great idea to pair Tap and SG. Another wonderful hop. How wonderfully fun! I've never used stencils and TAP together. Thanks for the chance to win! Beautiful! I have never tried TAP so I must get some right away! Your stencils are lovely! 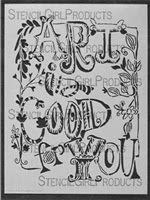 I especially love the "Art is good for you" stencil. I am going to check out your Pinterest boards for more inspiration. Thank you for the chance to win. 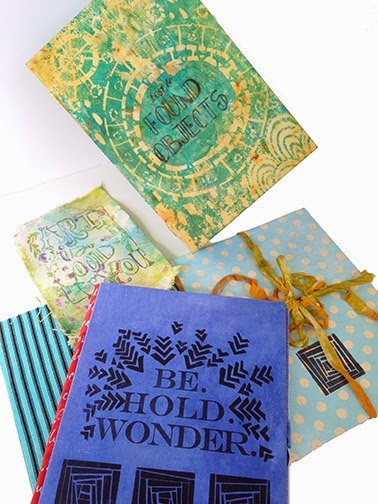 What a great use of both stencils and TAP - and the ideas are so inspiring! Can't wait to see what comes next. Beautiful and fantastic hop introduction! How I'd love to win this wonderfully fun giveaway! I am new to the art world and I'd love to explore using TAP. Thank you for a chance! I love the stencils with TAP! Cool!! Thank you for sharing the beautiful work you did with the stencils.I would love to try them out. I've been working the blog hop backwards as I was behind on my blog reading but I have been so inspired by all the projects! I'm really enjoying the projects! I've never tried TAP, but stencils are one of my favs. Have to experiment and there is so much inspiration here! I've never tried TAP - I'd love to!! Yes! Stencils and TAP are a great combination!